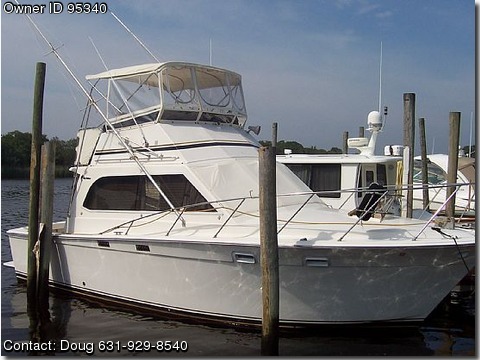 Call Boat Owner Doug 631-929-8540 631-566-0730. Basic Decription: Galley down, full size refrigerator and ovenstove. Lower station, 6.5 westerbeke generator and dual AC. Sleeps 4 New Chrysler elbows and risers were done 100 engine hours ago.